On Thursday, July 13, a scene played out on Playa Juan de Bolaño that has been all too common on our country’s beaches for too long: a two-year old baby wandered out of his mother’s sight for a split second and was washed away by the ocean. In a split second, the good times on the beach turned into a nightmare as the unresponsive baby was pulled from the water. As is common on our beaches, there weren’t any lifeguards or other trained responders nearby who could help— except one, a five-year-old boy. 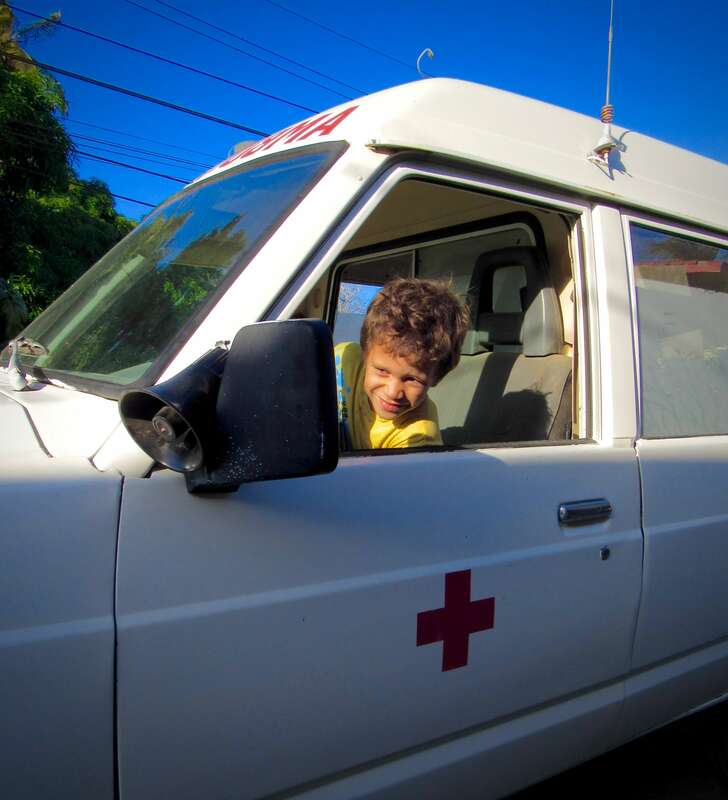 This young boy has spent the past year helping his mother and a group of young adults establish a formalized emergency medical response in the community. When the young boy heard the screams of the woman and saw the baby’s body being carried out of the ocean, the boy acted. 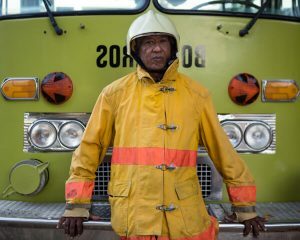 He ran to someone with a phone and told them to call the Manzanillo Fire Department, where one of our dispatchers answered the phone, took the information, and sent it out as a text message to all of the community responders in Monte Cristi. Three of them happened to be only a few hundred meters away —Nathanael, Miguel y Osvaldo. When they received the Emergency Alert message, they read the location and started running towards the scene, where they found the child, administered life-saving skills to resuscitate him, and found transport to get him to the hospital. All that was needed to save this baby’s life was a young boy who knew how to call for help and a group of upstanding young adults with phones in their pockets. For the past few years we have been watching with delight as Santo Domingo has implemented perhaps the most advanced emergency medical system in Latin America and the Caribbean. Yet, speaking as a rural fire chief with more than 50 years of service to my community, I know the difficulties our government will face in expanding these services to all rural Dominican communities will be substantial. And like this baby, many of us can’t wait that long. For these reasons, we’ve taken the lead in working to develop alternative methods to guarantee 24-7 access to rapid emergency response services in our community. Through a pilot program supported by seed funding from international partners, including Google, USAID and Cardinal Health, we’ve been working since October 2014 with a group of paramedics called Trek Medics International to implement a community-based emergency response program using basic mobile phone technology. Over the past year, our partnership has created a model designed specifically for rural communities with limited resources to reliably respond to emergency incidents, provide basic, life-saving care and transport to the nearest hospital. To date we’ve responded to nearly 150 emergency incidents, and on average within six minutes of receiving the alert. In fact, a study by Columbia University last August showed that, on average it took patients with acute medical conditions in Monte Cristi province on average three and a half hours to get to the hospital. We’re averaging 33 minutes, and day by day, people are calling more and more from more distant communities. Reliable access to emergency services is becoming a reality for the most isolated communities. While we’re very grateful and honored for the support from our international partners, now the real work begins. Our model has been proving day in and day out that communities with limited resources can still access emergency health care, and that no baby should ever die on our beaches again because no one knew what to do. We call on our national private and public partners — anyone who has an interest in keeping our beaches and our roads safe — to step forward and join us in providing the basic public services we have been without for far too long.